This amazing new supersonic private jet has been developed by private US based aerospace in partnership with Airbus set to fly at an astonishing Mach 1.6! The dream of supersonic travel is nearly here again. You will soon be able to travel from London to New York in just 3 hours or from Sao Paulo to New York in 2 hours 50 minutes or Los Angeles to Japan in six hours with this super sleek private business jet which looks like a modern scaled down Concord which takes 12 passengers and is capable of traveling at 1217 miles per hour making it the fasted small business jet in the world. 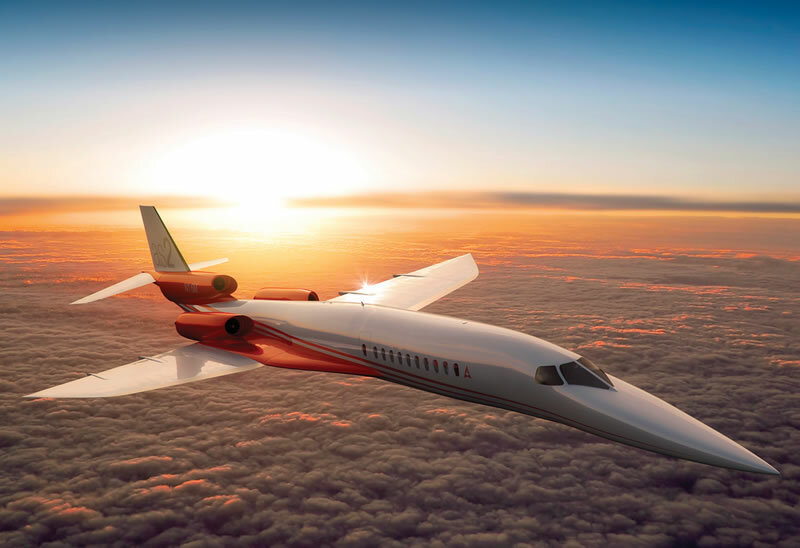 The plane will be designed and built by United States based Aerospace firm Aerion in partnering with Airbus to the design will use a laminar flow wing which enables the jet to achieve its amazing speed. In 2003 Concord was retired from service leaving a hole in the supersonic passenger jet market which is where this new plane is et to fit in, Concord had a maximum speed of 1350 mph so the new AS2 is only slightly behind in performance. Supersonic speed is prohibited over the United States, so the AS2 will also have the ability to fly at just under the speed of sound, or around 754 mph but once you are over the ocean it can be opened up to it’s top speed. Currently supersonic speed is banned over the land in the United States so the AS2 is designed to also fly comfortably at just under the speed of sound, or around 754 mph. The AS2 is a result of more than ten years of research by Aerion who have been testing the laminar flow airfoils with NASA, this technology reduces airframe drag by 20 percent allowing for lower fuel consumption and longer range. The jet will have a range more than 5,450 miles, so it can connect cities like London and Seattle or San Francisco and Tokyo with nonstop flights. The anticipated price tag for the Aerion AS2 is set to be around $100 million and Aerion projects it will begin test flights by 2019.